amputees can benefit from reduced forces inside the socket. Concentrate on your shot instead of keeping your balance. Performance and comfort for low and high activity users. Independent heel and forefoot movement. 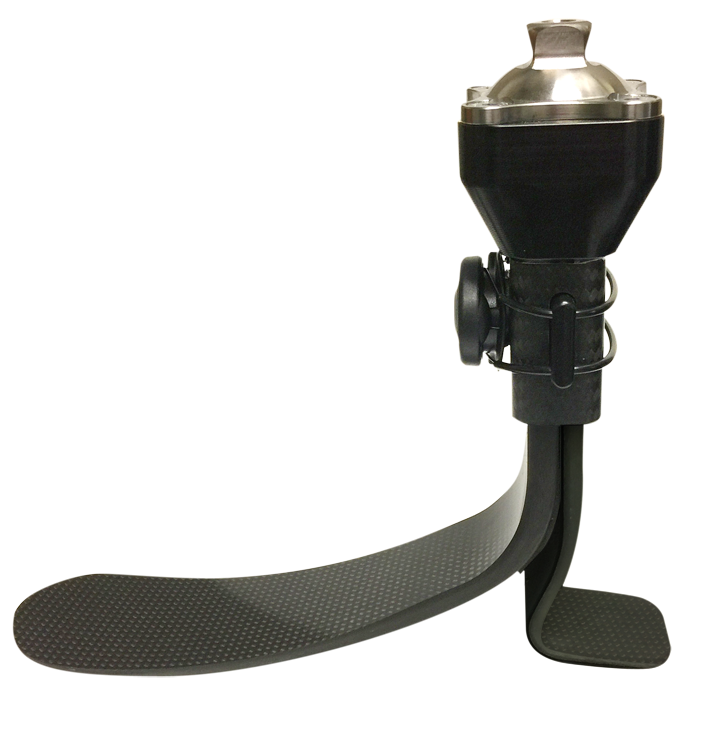 The TaiLor Made™ Prosthetic Foot Puts The User And Prosthetists Back In Control. PDAC Approved! (L5987). See it in action on our YouTube channel! Unlike traditional pre-assembled shank foot systems with vertical loading pylons, the TaiLor Made combines dynamic energy return with vertical shock absorption. This unique combination enables independent heel and forefoot movement to provide shock absorption, ankle motion, and ground traction. The result is excellent control, comfort and stability, making the TaiLor Made a great choice for users of all abilities. Vertical shock is not just for high activity users. All amputees can benefit from reduced forces inside the socket. The innovative design of the control hub makes in-clinic customization and optimization to user preference easy! The TaiLor Made™ foot delivers a bold sense of independence from the status quo. Quickly and securely assembles the heel, forefoot and spring set, making in-clinic customization and optimization easy. Independent heel and forefoot movement results in shock absorption, ankle motion, and ground traction for excellent stability. Internal shock spring set comes in varying stiffness to provide vertical travel and push off performance customized for each user’s comfort. Want to see the TaiLor Made foot in action? Check out these demonstration videos and real user accounts of what Bold Independence feels like. TaiLor Made Prosthetics shared a post. por favor preciso de informações sobre estas perna, valores alguém pode me dar.